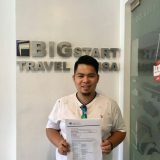 We intend the BIGStart Visa website for use by adults. Children: before sending any information about yourself over the Internet to us or anyone else, be sure to ask your parents for permission. Parents: BIGStart Visa recommends that parents take an active role in their children’s use of the Internet. We encourage you to talk to your children about safe and responsible use of their personal information while using the Internet. At BIGStart Visa, we are committed to respecting your Privacy. We recognize that when you choose to provide us with information about yourself, you trust us to act in a responsible manner. That’s why we have put a policy in place to protect your personal information. You may always visit our site and browse without giving us any personal information. Please read on for more details about our Privacy practices. 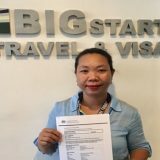 What information does BIGStart Visa collect? How do we use it? If you choose to give us personal information via the Internet that we or our business partners may need to correspond with you, process an authentication of reports, or deliver a product for example, it is our intent to let you know how we will use such information. If you tell us that you do not wish to have this information used as a basis for further contact with you, we will respect your wishes. BIGStart Visa, the service providers for it, and all services through our web site use your personal information: to operate our web site and/or effect your transactions; to create and share reports about your transactions among themselves. We intend to continue improving the content and function of BIGStart Visa. For this reason, we monitor visitor traffic patterns and site usage to help us improve the design and layout of our site and provide content of interest to you. 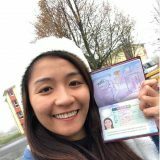 How does BIGStart Visa protect consumer information? When you access your account information, we offer the use of a secure server. The secure server software (SSL) encrypts all information you input before it is sent to us. Furthermore, we take steps to protect the customer data we collect from unauthorized access, disclosure, alteration, or destruction. “Cookies” are small pieces of information that are stored by your browser on your computer’s hard drive. Our cookies enable us to provide you with more personal service. Most web browsers automatically accept cookies, but you can usually change your browser to prevent that if you would rather not store the information for future use. In order to bring you more personalized services, we may ask you to establish one or more passwords to gain access to certain services or sections in either the BIGStart Visa website(s) or the web site link(s) whose products or services are available to you via a link from our web site(s). As such, BIGStart Visa may share the password information you provide us with those other authorized partners. You are solely responsible for the control and use of each password you create. Will BIGStart Visa disclose the information it collects to outside parties? BIGStart Visa may store and disclose personal information as allowed or required by applicable law, including making disclosures that are necessary or advisable to: (a) protect the rights, safety or property of users of our web site, the public, or BIGStart Visa or our website partners; and (b) conform to legal or regulatory requirements. Once you have provided BIGStart Visa with contacting information, we may contact you by e-mail when we need to communicate with you regarding your transactions or for other customer services. By using our web site, you consent to the collection and use of this information by BIGStart Visa. If we decide to change our Privacy practices, we will post those changes on this page so that you are always kept informed of what data we collect, how we use it, and under what circumstances we disclose it. Please check this page for changes from time to time to make sure you are aware of our latest privacy practices. Because BIGStart Visa and its alumni operate internationally, we make information we gather available to our community. Our goal is to respect your Privacy. To help us improve our Privacy practices, please give us your feedback. We welcome your comments and questions.